Democrat Pete Gallego, locked in one of the hottest congressional races in the country, says his opponent Quico Canseco went too far by using the face of Jesus in a political ad. Canseco stands by the mailer. 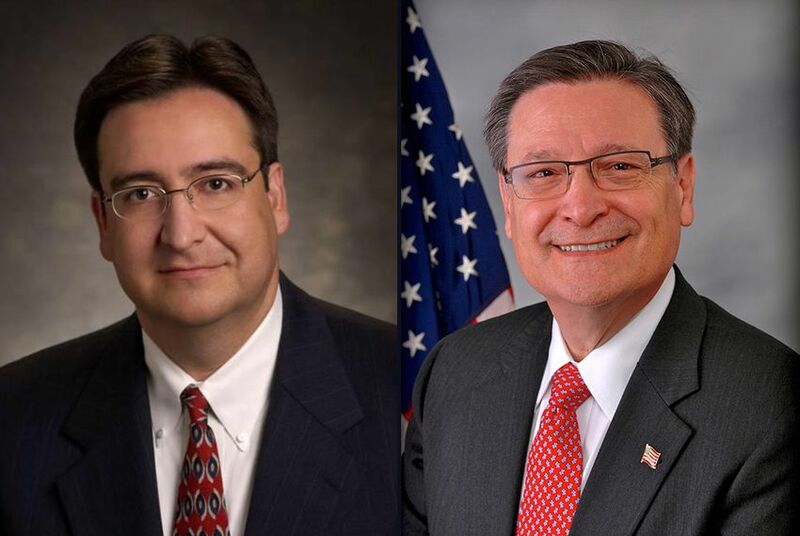 SAN ANTONIO — Democrat Pete Gallego, locked in one of the hottest congressional races in the country, said Tuesday that Republican U.S. Rep. Quico Canseco has stooped to a new low by using the face of Jesus in a mail piece highlighting the candidates' differences on social issues. Gallego said as a Catholic, he was deeply offended by the use of religious symbols in the campaign and called on his rival to quit using them. Speaking before the afternoon press conference, Canseco stood by the mail piece, which also features the face of a baby and two men kissing each other in an attempt to highlight the candidates’ differences on abortion and gay rights issues. Canseco cited a scorecard hailing Gallego’s abortion rights votes from the National Abortion Rights Action League, or NARAL, to back up the claim in the mailer. On both points, the Gallego campaign says his rival is distorting the West Texas lawmaker’s views and record. Gallego, who is from Alpine, said he supports giving gay couples the right to join in civil unions, but not in marriage. “I have never been in favor of gay marriage and I am not in favor of gay marriage,” Gallego said. As for abortion, Gallego’s campaign provided past record votes from the Texas House showing the lawmaker supported laws requiring parents to give consent when their minor children seek abortions. The law allows the minor to bypass the consent requirements if a state judge agrees to it, a provision that Gallego supported. The Gallego campaign said the NARAL scorecard Canseco cites came from a 2008 ranking. In 2005, the year Gallego supported the parental consent bill, NARAL gave him a 55 percent rating, according to a scorecard provided by his campaign. The Canseco mailer — and Gallego’s heated reaction to it — underscore how competitive the race has become. It’s the only congressional race in Texas that is considered a toss up. The district, which stretches from San Antonio to El Paso and encompasses 800 miles of of the Texas-Mexico border, is awash in outside money — from both major parties and super PAC spending on both sides. Canseco, elected in the Tea Party wave in 2010, defeated Democrat Ciro Rodriguez in a close race. Gallego, first elected to the Legislature in 1990, defeated Rodriguez in the July 31 runoff. This is his first run for Congress.